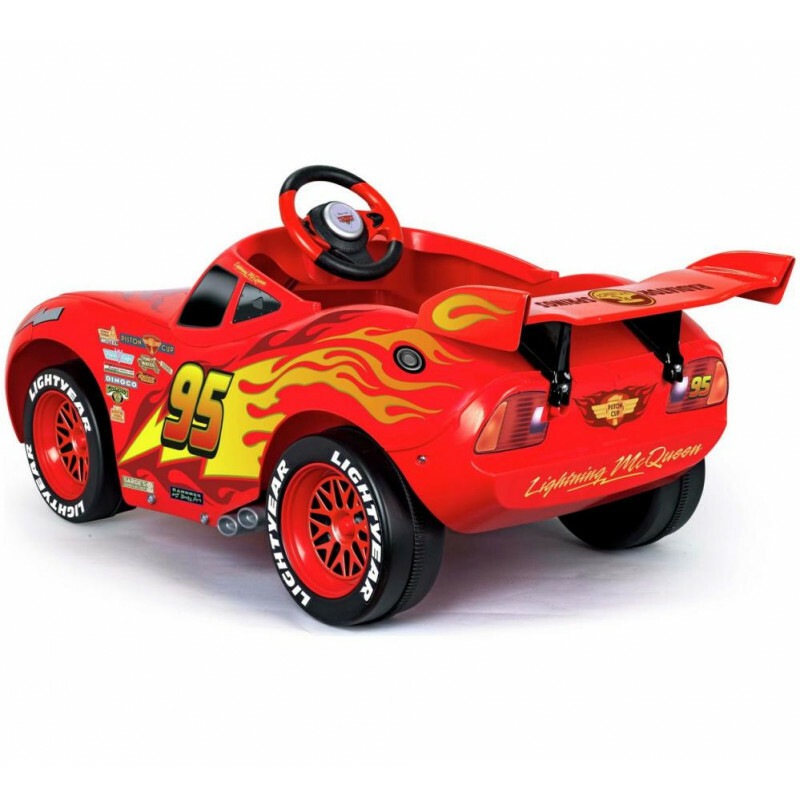 This great fun battery operated car features starting klaxon sounds and lights on the steering wheel. 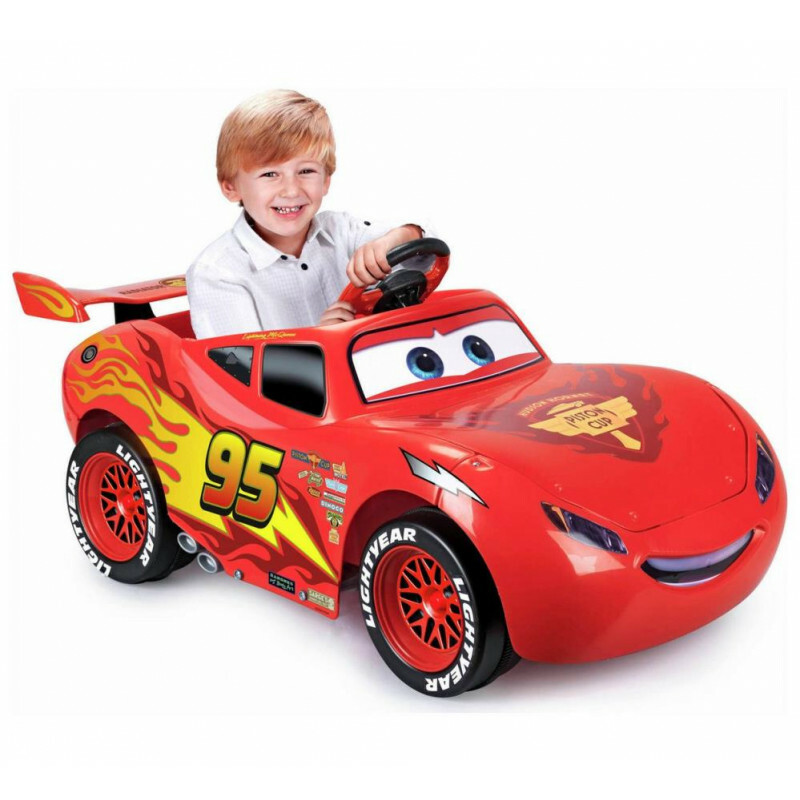 This Cars Lightning McQueen ride-on gives your little one an exciting replica of the famous racing car from the Disney Cars films & comes complete with racing decals. 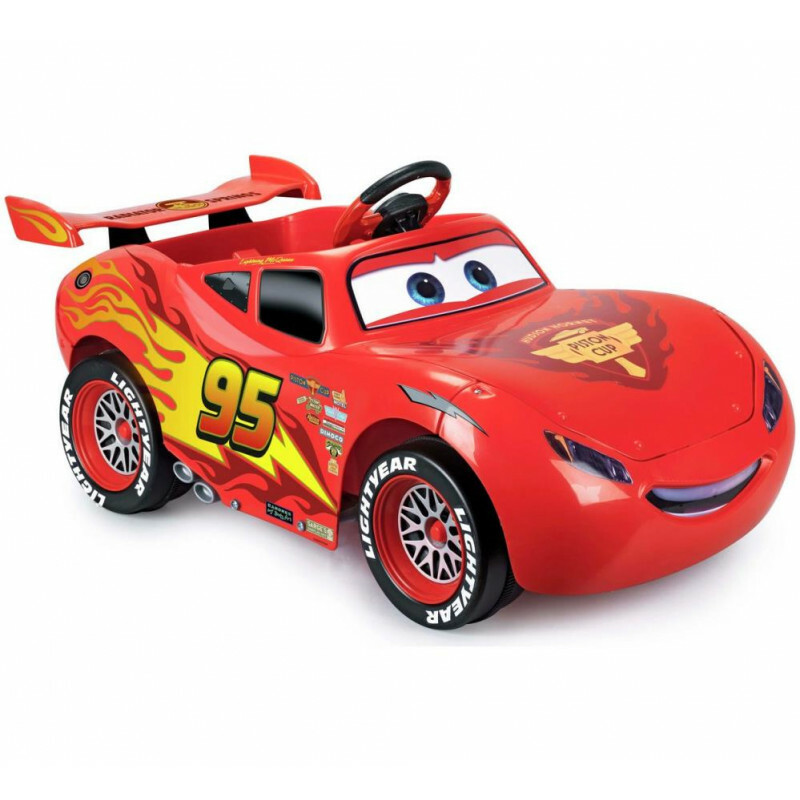 Under the distinctive red body of Lightning McQueen lies a 6V battery that sends the car forward when your child depresses the accelerator pedal with their foot. It is made from high quality, fade resistant plastic that does not lose its colour in the sun.